Rigid Industries LED Lights / Off Road Lighting, and LED Light Bars are all premier products in the automotive aftermarket. Known worldwide for their USA Made Rigid Industries Lights, Rigid Industries makes some of the brightest, most innovative, and most reliable off road lights available in the marketplace today. If you've been out to the desert, you've probably seen a truck with a Rigid LED Light Bar on it. Don't be fooled by all of these unreliable led off road lights from some no name brand that comes out of China. Customers who demand the best from their off road lighting go with Rigid Lights. 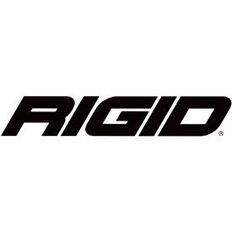 Click on one of the links below to check out what Rigid Industries has to offer for your vehicle. Whether you need a Rigid E Series Light Bar, a Rigid SR Series Light Bar, Rigid D2 Lights, if it is made by Rigid Industries, we have it. Rigid Industries has a solution for you! Best of all, Rigid Industries also makes many vehicle specific brackets to easily mount your new Rigid Industries LED Lights with an OE look, fit, and finish.